We offer a wide range of branded and non-branded Curtain Fancy Rods in both standard and customized options. These Fancy Curtain Rods are used in households, offices, hotels etc. Florence Curtain Rods are also available in attractive finish, shapes and sizes to match various doors and windows as per customers’ need. In modern times, people require exquisite & durable MS Curtain Rod for their home furnishing needs. 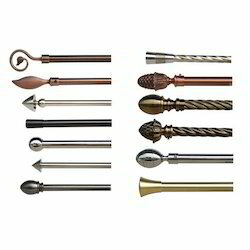 We offer our clients the most elegant range of Decorative Curtain Rods, which comes with metal and embellished finials. These curtain rods have got the best finish and a perfect look to match with any sort of room interiors. 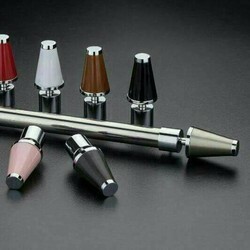 We offer the product in various sizes, colors and different shape of finials to our clients in markets.